We can help you meet compliance requirements and keep your employees safe. Do you worry about an employee being injured? Are you concerned about meeting safety regulatory compliance? Are you trying to increase employee responsibility and ownership for safety? Dimensions provides safety services, safety consultation and safety support to ensure that your safety needs are met. We start by assessing your current situation and then make recommendations to address any gaps to enhance your program strengths. Are interested in developing an integrated management system by focusing on safety and health as key performance indicators to transform organizational culture. Have a special project or training request. 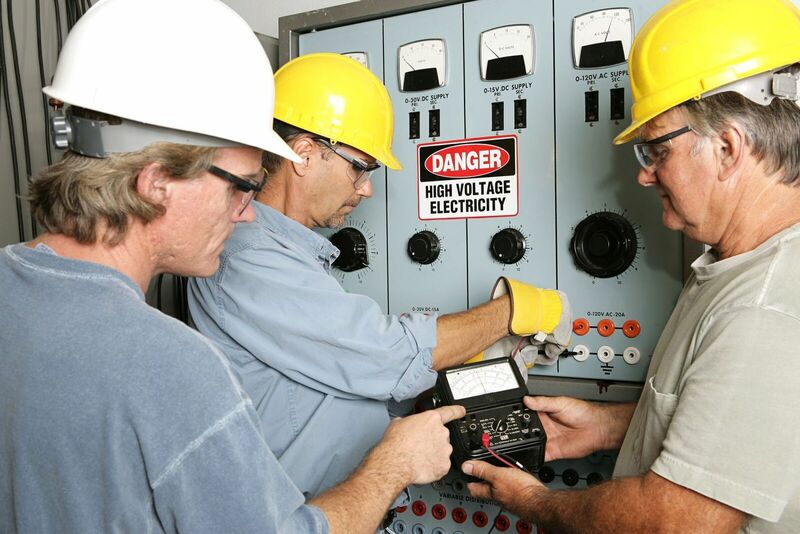 Safety audits and inspections identify hazards, potential risk factors and other safety issues to ensure a safe and healthy workplace as well as prevent injuries. Policies are usually also reviewed with suggestions for improvements to ensure that the strategies are appropriate and meet the company’s goals. Just having an outside pair of eyes with a different perspective is beneficial! In addition to the facility walkthrough, safety inspections often include interviews and/or a safety culture assessment, all of which add valuable information on the status of your program and gaps to address. SHMS takes your safety program to the next level by engaging all staff in your safety program. For a successful program, safety has to be everyone’s responsibility. Dimensions offers expertise and guidance in establishing an effective SHMS. We start by conducting a complete safety culture assessment to identify gaps, make recommendations, and can help to close the gaps. Controlling workplace conditions that may cause employee injury or illness. The focus is on workplace safety hazards or stressors that impact employee safety and well-being, and which also impact productivity and profits. Put our expert IH Team to work for you! Dimensions’ certified industrial hygienist, safety specialists, and experienced hygiene technicians help you prevent exposures, ensure safety and health, and meet OSHA requirements. Dimensions provides staffing support to assist with projects or provide support on a regular basis. Our staff has the expertise and experience to assist you with your needs whether it’s for scheduled weekly hours or occasional projects. For example, our employees have been onsite to work with Safety Teams, facilitate ongoing training support, conduct and review Job Safety Analysis, complete lockout tagout procedures, and assist with Safety Data Sheet maintenance, as a few examples. Let us know and we’ll help you determine the best and most cost effective options for safety support. We are available to help establish an effective Safety Committee, provide meeting support, and/or facilitate the meetings. Consultation is also available to consider the best strategies and options. Interested in achieving OSHA’s Voluntary Protection Program (VPP)? Just ensuring that your safety program meets the criteria is beneficial. We are happy to discuss the benefits and whether VPP is right for you. We can help get your company ready, submit the OSHA application and prepare for subsequent re-evaluations. Why participate? Companies that work to achieve VPP have fewer injuries, 52% less days away from work or restricted work; reduced workers’ compensation, improved employee morale, improved public image, and a better relationship with OSHA. People want to be productive, perform well, and be their best. Human Performance leads to sustainable behavior change. Behavior based safety is often a valued component for creating a culture of safety by forming a safety partnership between management and employees. BBS can be a positive addition to encourage safe behaviors and when combined with human performance creates a shift to increase engagement, enhance energy and productivity. Also multiple factors, influences and barriers are considered rather than focusing on behaviors alone. These initiatives often include for example, self-checks, peer observations, and pauses. There are several elements to consider depending on the current status, issues, and goals. ISO 45001 – ISO’s first standard for occupational health and safety management systems provides the requirements for implementing a management system and framework that reduces the risk of harm and ill health to employees. ISO 45001 follows in the footsteps of ISO’s other management systems approaches, such as ISO 14001 (environment) and ISO 9001 (quality). It also takes into account other International Standards in this area including OHSAS 18001. There are many reasons to consider ISO 45001 certification. And, safety becomes a business strategy, a key player in achieving goals and contributing to the mission. Contact us for information on the benefits of certification and our implementation process. AED protocols, procedures and training. Dimensions provides expert recommendations and consultation for developing the response team and establishing first-aid response policies and protocols. A comprehensive and practical approach ensures an appropriate and timely response when the unthinkable occurs. Periodic topic review sessions provide additional skills, practice and confidence to perform during an emergency. In addition, we work with you to plan emergency response drills to ensure adequate responses to emergencies and solidify skills learned. Dimensions sets up scenarios, conducts drills and offers post-drill review sessions. We create realistic situations that provide your employees opportunities to apply their knowledge and skills, as well as understand where knowledge gaps may exist. This creates a realistic emotional experience that cannot be created with classroom training alone. We partnered with a pharmaceutical company in the Research Triangle Park to assist in their achieving the NC OSHA STAR award. Ergonomic issues remain one of the main causes of injuries and discomfort in the workplace, and are a leading cause of Workers’ Compensation claims. Here's some evidence. After an incident, Dimensions helped an organization ensure a safe and appropriate job assignment while the employee was working to return to their full-time position. WHEN PEOPLE THINK OF LEARNING opportunities, they often think of training or formal teaching. Most people envision instructors (or, more recently, computers) providing information or knowledge to receptive students. This model exemplifies a transmission style of teaching where the learning process is similar to playing catch with a ball. Originally published in Professional Safety in January 2011. Many methods used to conduct SH&E training in today’s workplace are based on a traditional transmission perspective of teaching using objective-based instructional design.